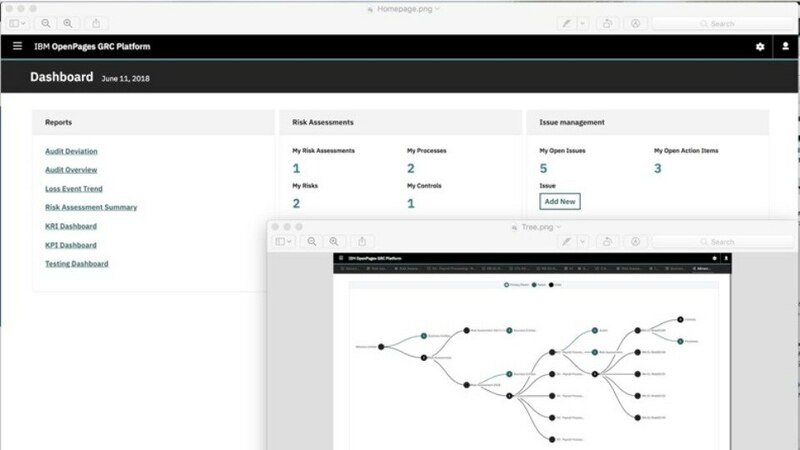 To help financial institutions meet their most challenging risk and compliance requirements, IBM is delivering the market’s only cognitive-driven GRC portfolio — IBM OpenPages with Watson. This platform provides core services and functional components that span operational risk, policy and compliance, financial controls management, IT governance, and internal audit. It delivers on the clear and present need in the marketplace for an integrated end-to-end solution that enables organizations to connect internal GRC policies and practices to the external regulatory environment. IBM is investing in empowering the first line of defense to ensure engagement, confidence and trust. IBM is investing in enhanced efficiency in the compliance process, leveraging advanced technologies such as cognitive and advanced analytics. IBM is investing in skill - adding deep expertise and practitioner experience in the regulatory environment.